Colombia's ELN rebels Wednesday freed six people they kidnapped in August, a government precondition for returning to peace talks, the International Committee of the Red Cross said. "Today in Choco, we were with the humanitarian commission that facilitated the release of the six people who had been held by the ELN since August. We are pleased that they will be able to meet with their families soon," the group said on Twitter. Choco is a "department" or province in the country's west. The group -- three policemen, a soldier and two civilian contractors abducted by the guerrillas August 3 -- were handed over to a humanitarian commission made up of the Ombudsman, the ICRC and the Roman Catholic Church. The humanitarian operation took place "amid a strong military operation" said Uriel, commander of the Omar Gomez Western War Front, who had the hostages in his custody. "At all times we gave the detainees the best possible treatment in these conditions," the rebel leader said in a statement. 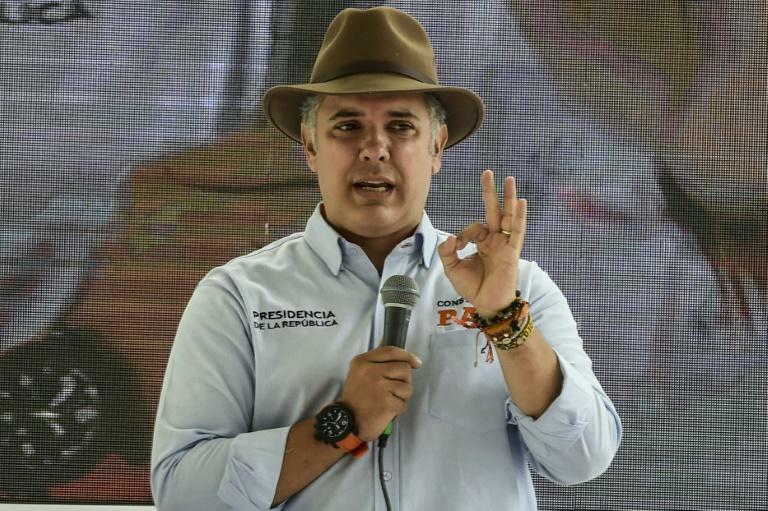 President Ivan Duque said: "I am glad that there are people who are returned to their homes today after having suffered the opprobrious tragedy of being kidnapped." But he maintained that in order to resume the talks that the rebels must free all the people in their power and suspend "all criminal activities." "If we do not start there, what we end up with is validating violence as a measure of access to negotiation with the state. That is a historical mistake that has been made in Colombia," Duque stressed. The government says the ELN kidnapped 18 people between 2012 and September 2018 -- minus these six freed and three more released last week. At least nine remain. Duque, which took office on August 7 with the promise of toughening conditions on the negotiations, also wants the ELN to stop criminal actions to resume peace talks. The ELN is Colombia's last guerrilla force. The larger FARC -- Revolutionary Armed forces of Colombia -- has disarmed and become a political party. "The Colombian government continues to express a desire for peace, but with concrete actions and not rhetoric," Miguel Ceballos, High Commissioner for Peace, said on Monday. The rebels, who have some 1,500 combatants and an extensive support network, oppose the conditions. The talks are aimed at ending half a century of armed conflict. A final peace deal with the ELN would end the last armed conflict in Latin America. It has left more than eight million victims -- either dead, disappeared or displaced.